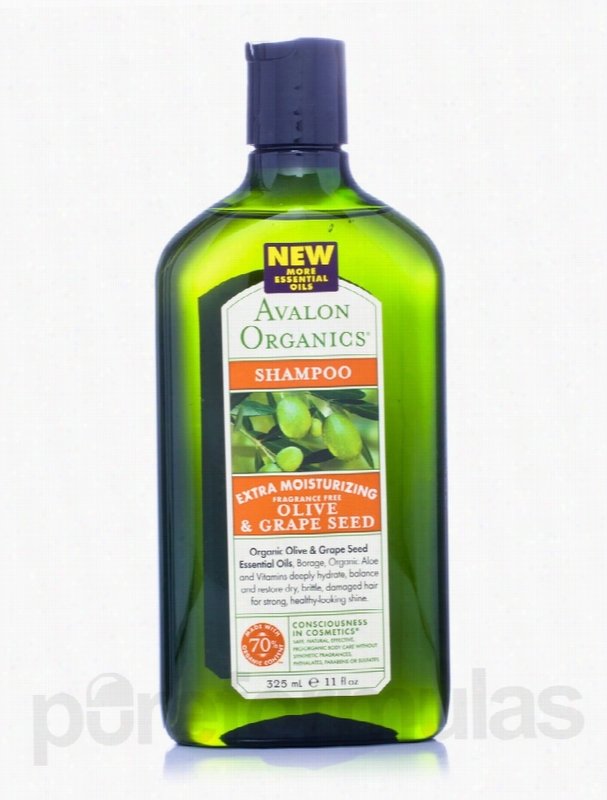 Avalon Organics Hair - Olive & Grape Seed Extra Moisturizing Fragrance. Give your hair the cleansing and hydrating goodness of Olive &amp; Grape Seed Extra Moisturizing Fragrance Free Shampoo 11 fl. oz (325 ml) from Avalon Organics and let it radiate the sheen of good health. With deep hydrating properties&sbquo; it does not make your hair feel dry and brittle. Similar in chemical structure to sebum&sbquo; the natural oil on the skin&sbquo; olive oil could work as a good hydrating agent for dry skin and hair. Dry and damaged hair is more prone to problems such as split ends and frizzy hair. Reports suggest that olive oil hydrates deep into the hair cuticle to provide strength to the roots and shine to the shaft. Working as an effective hair conditioner and moisturizer&sbquo; grape seed oil could potentially cure problems such as hair loss&sbquo; weak roots and dandruff. With consistent use&sbquo; grape seed oil appears to make your hair healthier and stronger. Containing antioxidants&sbquo; grape seed oil may help to block the production of the hair loss hormone&sbquo; DHT. Vitamin E and linoleic acid could potentially promote hair growth. Oat bran or Avena Sativa helps to make the hair soft and strong. Being a natural moisturizer&sbquo; it may relieve the conditions of dry and itchy scalp. With cleansing properties&sbquo; oat bran also helps to rid the scalp of excess oil&sbquo; sebum and dirt. With other essential organic extracts such as calendula&sbquo; Aloe vera and chamomilla recutita&sbquo; this fragrance free shampoo from Avalon Organics helps in nourishing and hydrating the hair. Infuse life into dull and lifeless hair with Olive &amp; Grape Seed Extra Moisturizing Fragrance Free Shampoo 11 fl. oz (325 ml) from Avalon Organics and it may give the sheen of good health to your tresses. These statements have not been evaluated by the Food and Drug Administration (FDA). These products are not meant to diagnoseÃ¢ÂÂ treat or cure any disease or medical condition. Please consult your doctor before starting any exercise or nutritional supplement program or before using these or any product during pregnancy or if you have a serious medical condition. Progena Allergy Relief - Allergena Fragrance/Solvent - 2 fl. oz (60. Allergena Fragrance/Solvent could potentially act to relieve certain symptoms associated with allergies to environmental irritants. Notably&sbquo; this Progena supplement has been formulated with the principles of homeopathy and sublingual immunotherapy in mind. According to proponents of homeopathy&sbquo; highly diluted amounts of natural substances may work to stimulate your body&rsquo;s ability to heal itself; moreover&sbquo; supporters of sublingual immunotherapy believe that exposure to small amounts of certain allergens could potentially aid in building immunity. For these reasons&sbquo; Allergena Fragrance/Solvent contains a wide array of ingredients that are found in car exhaust&sbquo; perfumes&sbquo; and other common environmental irritants. In addition&sbquo; every serving of Allergena Fragrance/Solvent provides herbs that may offer further support for optimal immune function. For example&sbquo; lycopodium clavatum&mdash;which is also known as club moss&mdash;may help address certain symptoms associated with mild upper respiratory infections&sbquo; such as coughing&sbquo; nasal congestion&sbquo; or watery eyes. 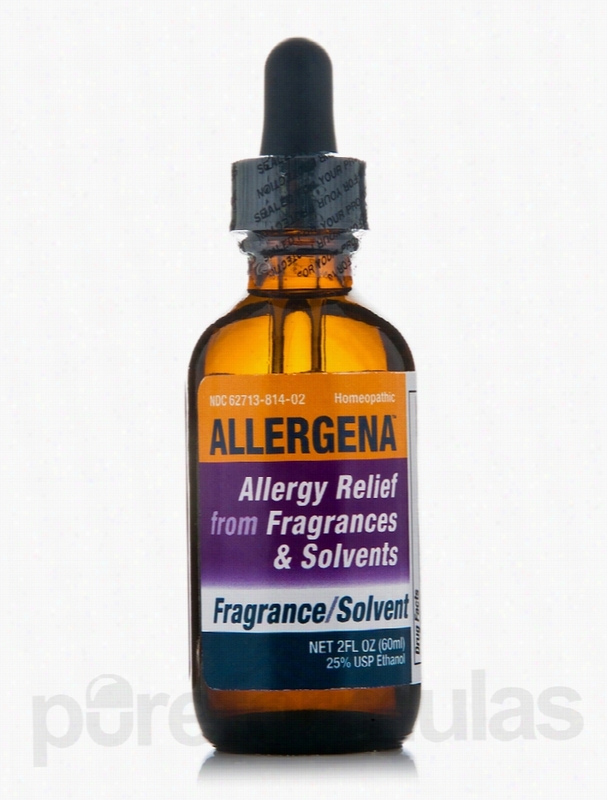 Each bottle of Progena&rsquo;s Allergena Fragrance/Solvent contains two fluid ounces of solution. These statements have not been evaluated by the Food and Drug Administration (FDA). These Products are not meant to diagnoseÃ¢ÂÂ treat or cure any disease or medical condition. Please consult your doctor before starting any exercise or nutritional supplement program or before using these or any product during pregnancy or if you have a serious medical condition. Giovanni Cosmetics Skin Care - Fragrance Free & Aloe Shave Cream. 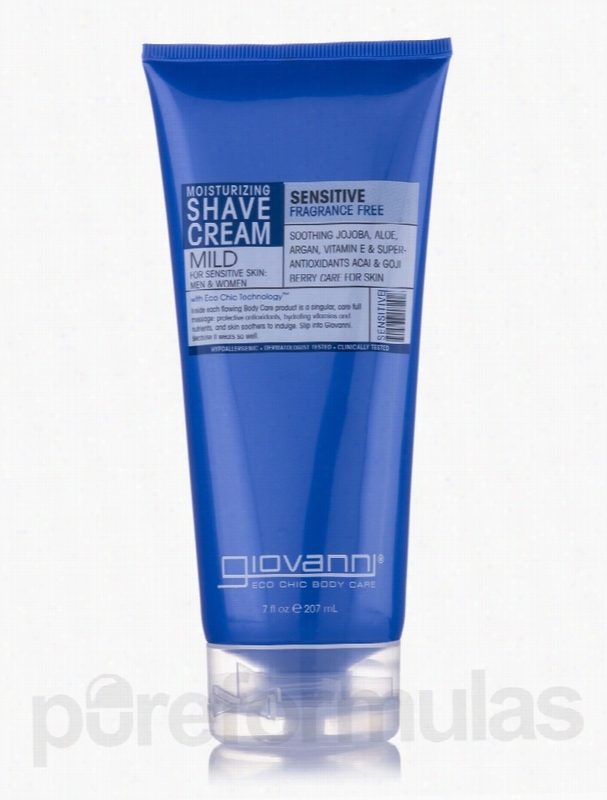 Fragrance Free &amp; Aloe Shave Cream from Giovanni&reg; Cosmetics may minimize cuts and provide a rich lather while shaving. It may Suit both men and women and moisturize the skin effectively. Isopropyl Palmitate may help you work up a rich lather. Aloe vera&sbquo; jojoba oil&sbquo; olive oil and shea butter create a hydration barrier so that the razor could glide against your skin with ease. Most often&sbquo; people with dry skin may experience dryness after shaving. This is when the moisturizing shaving cream from Giovanni&reg; Cosmetics may come in handy. Argan oil blended into this shaving cream might maintain a smooth shave. It may also add radiance to just-shaved skin. Rose hips may condition and care for your skin. Green tea extracts in the shaving cream may act as an astringent on the shaved area and may keep itchiness and sensitivity away. The shaving cream formulation also has acai berries and fig fruit to enrich and nourish the skin. Fragrance Free &amp; Aloe Shave Cream from Giovanni&reg; Cosmetics lets you experience a smooth and comforting feel after shaving. These statements have not been evaluated by the Food and Drug Administration (FDA). These products are not meant to diagnoseÃ¢ÂÂ treat or cure any disease or medical condition. Please consult your doctor before starting any exercise or nutritional supplement program or before using these or any product during pregnancy or if you have a serious medical condition. 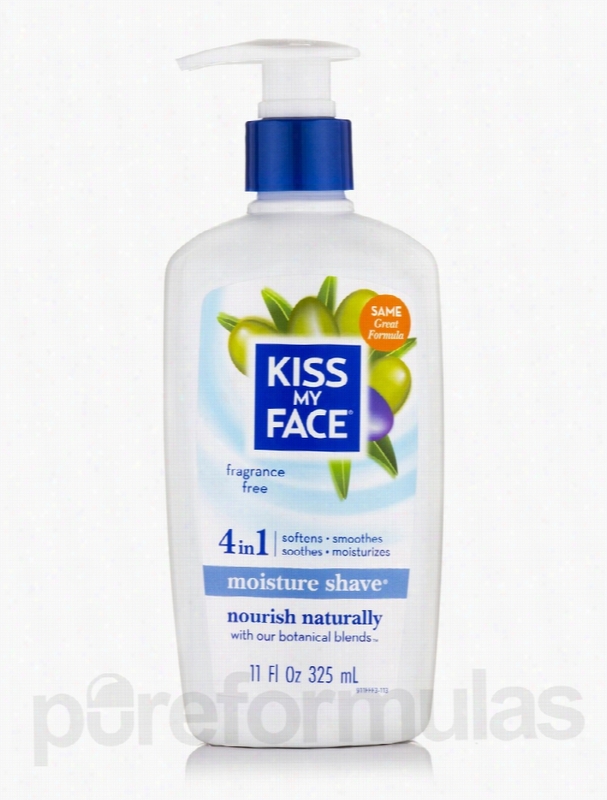 Kiss My Face Skin Care - Fragrance Free Moisture Shave - 11 fl. oz. Fragrance Free Moisture Shave&reg; from Kiss My Face&reg; may provide you with one of the best shaving experiences. A clean shave is always appreciated and with ingredients like essential oils and vitamin E&sbquo; this formula might just leave your skin feeling smooth and soft to the touch. This product from Kiss My Face&reg; contains vitamin E&sbquo; an Antioxidant vitamin&sbquo; that could protect the skin from harmful environmental factors. It could also soften the skin. The cr&egrave;me formula is meant to provide a close shave&sbquo; while the golden seal&sbquo; lemon grass&sbquo; and aloe could soothe any irritation caused by shaving. Olive and coconut oils have been added to provide ultimate moisture and leave the skin feeling supple. The fragrance free formula is designed specially for people who are sensitive to strong perfumes and those with sensitive skin. It is free from parabens&sbquo; phthalates&sbquo; artificial flavors&sbquo; and fragrances. It is vegan and gluten free. For best results&sbquo; lather the Fragrance Free Moisture Shave&reg; from Kiss My Face&reg; with wet hands&sbquo; apply&sbquo; shave&sbquo; and rinse for a silky smooth feeling. These statements have not been evaluated by the Food and Drug Administration (FDA). These products are not meant to diagnoseÃ¢ÂÂ treat or cure any disease or medical condition. Please consult your doctor before starting any exercise or nutritional supplement program or before using these or any product during pregnancy or if you have a serious medical condition. 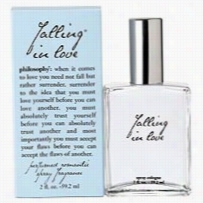 Philosophy Falling In Love Fragrance 2oz. 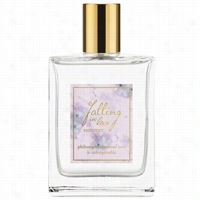 Philosophy Falling in Love Summer Spray Fragrance 2 oz. experience the unforgettable feeling of summer romance. playful encounters, moonlight dances and midnight kisses. philosophy's falling in love summer spray fragrance captures the dream of a playful summer romance that sweeps you off your feet. falling in love summer is a warm, fruity floral fragrance that makes a woman feel dreamy and romantically playful. this love-in-the-moment, irresistibly enticing fragrance reminds you that even a fleeting love can make a lasting impression.Limited quantities. Available while supplies last. 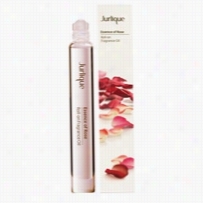 Jurlique Essence of Rose Roll On Fragrance Oil 0.3 oz. This rollerball is an unforgettably alluring fragrance that releases a profusion of pure evocative rose notes. This fragrance captures the delicate essence of 10,000 beautiful rose petals in each rollerball, opening with sweet Turkish rose, softening with green notes of Moroccan rose, and warming with aromatic, velvety Arabic rose. This is the perfect fragrance for layering with Jurlique Rose products.Benefits:Flower petals are hand-picked to retain purity.Contains Shea Butter to help soften skin.Convenient packaging for touch-ups during the day. 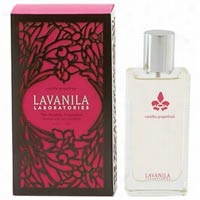 LaVanila The Healthy Fragrance Vanilla Passion Fruit 1.7 oz. A crisp, tropical explosion of Passion Fruit, Guava and Peach Nectar steeped in warm base of Sandalwood and Madagascar Vanilla. This All-Natural fragrance is fresh, clean, and nurturing. The first to introduce science into fine fragrance, LaVanila carefully infuses pure essential oils with vitamin-rich Goji Berry and Kakadu Plum for a daily dose of 30 essential vitamins and Minerals that pamper the body and soul. No Petrochemicals, Phthalates, Propylene Glycol, Mineral Oils, Silicone, Synthetic Dyes, Sulfates, or Parabens.Limited Edition. Available while supplies last. Kiss My Face Bath and Body - Liquid Rock Fragrance Free Roll On - 3. 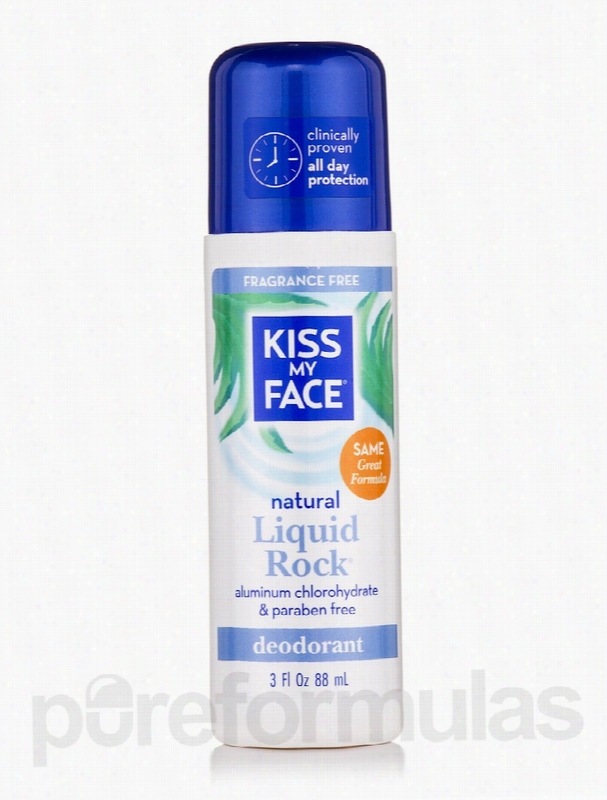 Liquid Rock&reg; Fragrance Free&trade; Roll On from Kiss My Face&reg; may prevent or reduce body odor. If you experience the discomfort of excess perspiration&sbquo; a powerful deodorant like this one might be beneficial. Many deodorants leave unsightly white marks on the skin and clothes&sbquo; not this one from Kiss My Face&reg;. The sheer&sbquo; all day odor protection is achieved by using mineral&sbquo; crystal salts and other ingredients that have superior odor absorbing qualities and could help you feel fresh throughout the day. White willow bark extract might be very effective in controlling body odor. The lichen extract&sbquo; also known as &lsquo;old man&rsquo;s beard&rsquo; or &lsquo;tree moss&rsquo;&sbquo; in this deodorant may have antibacterial properties. It is usually obtained from a symbiotic organism that contains fungus and algae. It is used in Skin Care products to prevent body odor. Liquid Rock&reg; Fragrance Free&trade; Roll On from Kiss My Face&reg; is free from aluminum chlorohydrate and parabens and is completely natural&sbquo; effective&sbquo; and cruelty free. These statements have not been evaluated by the Food and Drug Administration (FDA). These products are not meant to diagnoseÃ¢ÂÂ treat or cure any disease or medical condition. Please consult your doctor before starting any exercise or nutritional supplement program or before using these or any product during pregnancy or if you have a serious medical condition. 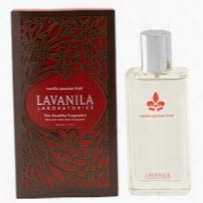 LaVanila The Healthy Fragrance Vanilla Grapefruit 1.7oz. A luscious blend of sparkling Grapefruit, crisp Sandalwood, Lime and warm Madagascar Vanilla.This All-Natural fragrance is fresh, clean, and nurturing. The first to introduce science into fine fragrance, LaVanila carefully infuses pure essential oils with vitamin-rich Goji Berry and Kakadu Plum for a daily dose of 30 essential vitamins and minerals that pamper the Body and soul. No Petrochemicals, Phthalates, Propylene Glycol, Mineral Oils, Silicone, Synthetic Dyes, Sulfates, or Parabens.